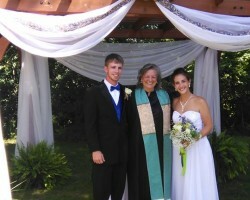 Reverend Scott Demarco has years of experience performing custom wedding ceremonies in Ohio. He has been recognized by local and national wedding organizations for his skill as an officiant and his service to couples. If you would like to experience his award-winning, customized ceremonies on your big day then you need to contact him as soon as possible. He is incredibly popular because he makes each ceremony unique and special for the couple by working closely with them and injecting the right amount of storytelling and humor. Rev. Cindy Lee is not just a wedding officiant in Cincinnati, OH that is there to accommodate for your special request and beliefs. She is there to customize every aspect of her service to match the style of the occasion and the love story of the couple. You will work with this professional to come up with the perfect ceremony and then she will be there at the rehearsal to make sure the flow of the script is just right. Christopher Shelley is the owner and operator of Illuminating Ceremonies. As a licensed wedding officiant, this expert is there to help you through every aspect of the ceremony to make sure it is perfect for you as a couple. This means that you will only ever have a unique wedding ceremony on your big day when you work with this company. This is an experience that you will cherish for the rest of your lives, so Christopher works to make it as special as possible. According to reviews, one of the best things about Spiritual Ceremonies by Design is that every aspect can be customized to the couple. Rev. Deborah Hall Bradley works closely with her clients to make sure that their ceremony is the special day that they have always wanted. 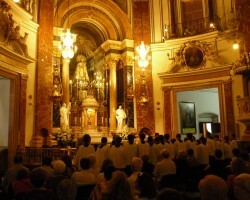 She believes that careful planning can create the most powerful and meaningful ceremony for the couple. 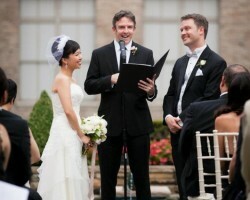 With her commitment and dedication to making this happen, you will always end up with a ceremony script that you love. 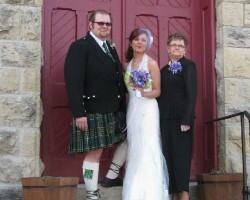 Linda Stevenson is the wedding minister of Anywhere-Weddings. She describes her officiating style as elegant, memorable and down-to-earth. If this describes you as a couple or is how you would like guests to describe your ceremony then you need to work with Linda to make it happen. She has performed over 400 weddings in the area, something that other Cincinnati wedding officiants simply cannot compete with. Linda is accommodating, friendly and has all of the warmth and humor in her personality that you would want to have in your wedding ceremony.